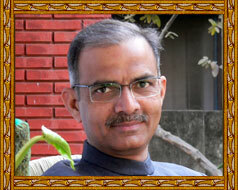 Medicinal Properties:It is found planted in Indian houses and prayed as been a sacred plant as Hindu philosophy. Medicinally the leaves are used in various classical and home made recipes. 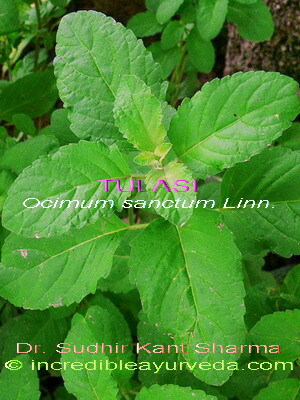 Indian mythology connects a great importance to Tulsi by recognizing it as a holy plant. Its use is recommended as a first aid in the treatment of various respiratory, digestive and skin diseases. Apart from these ailments Ayurveda also indicates its use for the diseases to cardiac health, cough and cold, relive toxins, indigestion, fevers, worm-infestations and tumers. Experimental studies identify it to be effective as immuno-modulatory, cytoprotective and anticancer agent.